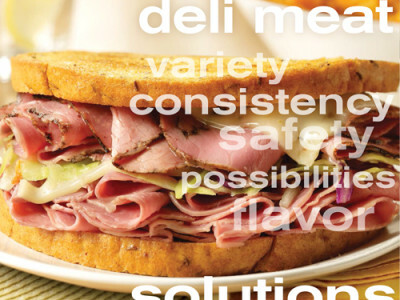 Hormel Foodservice, founded by George A. Hormel, is driven by George’s motto, “originate, don’t imitate.” Hormel continues to innovate friendly foodservice products that are flavorful, nutritious and convenient. 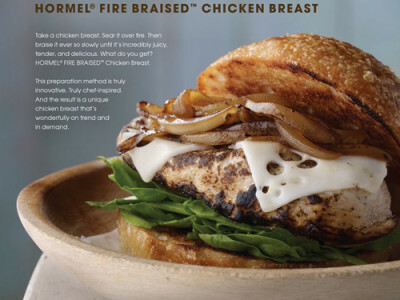 Hormel carries full lines of deli meat, special meat preparations such as Natural Choice(r) roast beef and Fire Braised(tm) chicken breast. Check out the product portfolio for details. what you need for sandwiches, salads, soups, and more. Take a chicken breast. Sear it over fire. Then braise it ever so slowly until it’s incredibly juicy, tender, and delicious. This preparation method is truly innovative. Truly chef-inspired. And the result is a unique chicken breast that’s wonderfully on trend and in demand. Fork tender and delicious, ready for anything you want to add to it—sauces, gravies, vegetables, or whatever inspires you. 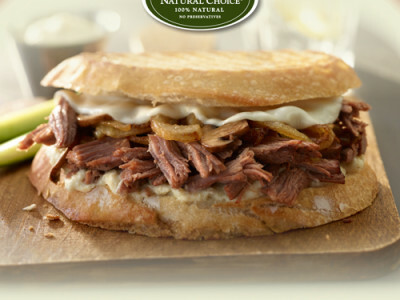 It’s perfect for speedscratch entrées, shredded in hot sandwiches, in appetizers, and more.